Since MF/UF membrane systems solve a wide variety of industrial pretreatment, separation, and purification challenges, the solutions and configurations of these systems can be as far-reaching and complex as the problems they are meant to remedy—and the same goes for their cost. Although it can be difficult to pinpoint exactly what you might be spending, it’s not impossible to narrow down to a range. What’s included in a basic MF/UF membrane system? Most facilities will usually be using an MF membrane system separately from a UF system, either one membrane system or the other depending on the size and weight of the contaminants that need to be removed. The only time MF and UF might be used together would be during a specific process separation where you’re trying to separate one molecular weight ion from another, requiring a two-step process. Using them together, however, is pretty rare, so the costs and factors below are focused on the systems individually. Some of the most common uses for MF/UF systems include treating municipal water for viruses and bacteria removal and reduction of silt density index for RO pretreatment. 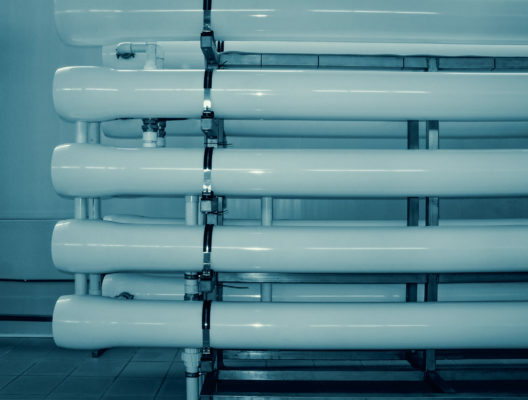 For treating wastewater, MF/UF membrane systems are used for preparing feed for an RO for recycle/reuse or for separating fine colloidal metals from the discharge. Both MF and UF can be used in these applications. As mentioned above, most MF/UF membrane systems consist of a module rack with tanks and feed pumps before and/or after, enabling you to collect the feed water and pump it to the MF/UF unit then send the filtered water off to another part of the process. An inlet strainer, or a large strainer to separate out the bigger particles, is usually installed prior to the unit to separate out all the particles that could plug the pores of the MF/UF membranes (usually 500 microns or so). For the filtration receiving tank on the back end, typically there are pumps that forward the water to be used (to an RO system, etc. ), and there is also a pump or pair of pumps used for backwash of the MF/UF system. This is where you have a chemical feed system so when you’re backwashing and cleaning, you can add chlorine to disinfect the fluid stream or add acid to descale (the chemicals added here will depend on the contaminants in your feed stream). This CIP (clean in place) system, a cleaning tank with a comb-bottom feature, includes a heater and a pump and filter cartridge housing. The chemicals are mixed in the tank, the water is heated and then fed/circulated either through the RO, MF, or the UF for an extended cleaning. Quick daily cleanings (when a facility backwashes with chlorine and a little acid) helps keep the membranes free of fouling. Every once and a while, we also recommend a thorough cleaning with the CIP tank. Sometimes there are also compressed-air units added to these systems for cleaning. The monitoring equipment and PLC controls monitor flows and pressures, which would indicate if an issue arises with the membranes, such as a rip or tear in the fibers of your membrane systems. The main factor that will drive up and down MF/UF membrane system cost is the characterization of the water—whether it’s surface or well water, and how dirty it is (is there algae, organics, or a lot of metals to cause scaling and fouling?). If you’ve got heavily contaminated river water, you may have to use pretreatment to get down to reasonable levels. 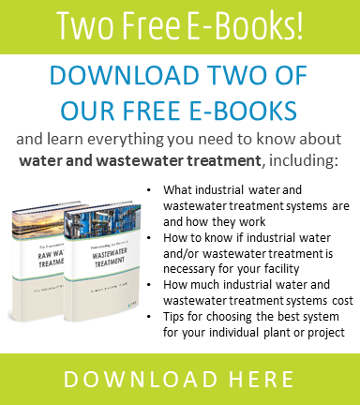 In wastewater applications, if your water has a lot of suspended solids, you may look at a tubular design versus hollow fiber . . . and this is where you start getting more into the micro filter designs for meeting effluent discharge requirements because you can use your chemistry up front to drop all your metals and coagulate them all, then you use the MF tubular type to concentrate and filter out the particles instead of clarifiers and sand filters. MF are used more on the backend wastewater side/metals removal, and the tubular versions are used there, whereas UF hollow fiber and spiral wound are typically used on the front end for polishing pretreated water or being the primary treatment before the water goes to the RO. Again, this is all driven by the characteristics of the water and how dirty it is. Another factor that causes a difference in cost or size of the system is the flow rate. Typically an MF/UF membrane system is run at a continuous flow rate based on a certain number of gallons per day. The product water goes into a holding tank and that water is pumped to the use points on demand depending on how fast you want to use it. For example, a food and beverage plant might need about 100K gallons of water per day, but because it is used over the course of two shifts, the average flow rate per day might be 100k gallons, but when the facility uses it in 16 hours, the peak demand is higher. Once you get past the ancillary systems (the holding tanks, pumps, CIP) the core technology cost is proportional to flow. If you want 10% more flow, you need 10% more modules, which can have a big impact in system cost. The last factor that will affect the cost of your MF/UF membrane system is the construction materials. In a municipal application where PVC piping is used, its’s going to be less expensive than an industrial, medical, or power application where all stainless steel piping will add substantial amount to the cost. Up-front planning. Developing the concepts, designs, and regulatory requirements for your project is the first step to planning your MF/UF membrane system. The cost of engineering for this type of project can typically run about 10–15% of the cost of the entire project and is usually phased in over the course of the project, with most of your investment being allocated to the facility’s general arrangement, mechanical, electrical, and civil design. Space requirements. When planning for a MF/UF membrane system, the size of your system and your plant location will affect your cost. For example, if your plant is located in a place that is very expensive when it comes to space, you might want to aim for a smaller footprint, if possible. Level of system automation needed. When it comes to the level of automation you need for your MF/UF membrane system, there are two options. The first is a higher level of automation where you won’t need an operator present for much of the time. With type of automation, you can eliminate much of the human error associated with running the plant, and although this option is more costly up front (an initial investment in more sophisticated PLC controls and instrumentation), the ongoing labor costs are less. The second option is a lower level of automation with less capital cost, but with added labor, this can end up costing you more in the long run. When deciding whether or not to invest in more costly controls, you need to consider what works for your company and staffing availabilities. Turnkey and prepackaged systems. If you are able to order your MF/UF membrane system prepackaged, this will typically save you construction time at about the same cost or less. A benefit to having your system prepackaged is that the production facilities and fabrication shops that assemble your system are, more often than not, highly knowledgeable about the type of system they are manufacturing. This results in a quick and efficient fabrication versus build-in-place facilities. Sometimes when you hire a field crew, there is a bit of a learning curve that can add extra time and/or cost to a project. SAMCO specializes in these types of turnkey, prepackaged systems, and for more information about what we offer, you can visit our website here. Installation costs will vary, but typically range between 15–40% of the project cost, depending on the specifics of prepackaging and amount of site civil work needed. Shipping the system to your plant. When having your MF/UF membrane system shipped to the plant, you usually want to factor in about 5–10% of the cost of the equipment for freight. This can vary widely depending upon the time of year you are purchasing your system in addition to where your plant is located in relation to the manufacturing facility. When you are looking to purchase your system, check with your manufacturer to see if there is a facility where the system can be constructed closer to you, if not on-site. Operation costs. Also keep in mind that particular technology packages cost a certain amount to purchase up front, but you need to also factor in system operating costs over time. For decisions like these, you need to weigh the pros and cons of initial versus long-term cost investment in addition to what works for your company and staff. You will likely want to look into having someone develop an operating cost analysis so your company can plan ahead for the operating cost over your facility’s life cycle. This might help you consider whether or not you want to spend more on your system initially or over time. Other possible costs and fees. When purchasing a MF/UF membrane system, you might also want to keep in mind what other hidden costs and fees might be. For example: Will there be any taxes on the system or additional purchasing fees? What are your possible utility costs to the installation area? Will there be any environmental regulatory fees and/or permits? Any ongoing analytical compliance testing you need to pay for? When you have smaller flows, like 10 or 20 GPM, your costs can be under $100,000 on a typical front-end system. A smaller high-end system you might use for a power plant for 100 to 200 GPM, might be $450,000, whereas a commercial version might be $250,000 for 150 to 200 GPM. A less expensive system might be 60 % of that for materials of construction PVC versus stainless steel. A 500 GPM wastewater MF system on the wastewater side could cost $500,000 to $1 million dollars if you’re replacing all the clarifiers, and filters, etc. Another example is a municipal seawater desalination system for drinking water where UF is being used ahead of RO, at say 3,000 meters cube per hour (which is a really large flow). A system at this rate could be $10 million for the complete UF system and $15 million for post-seawater RO, making the entire system about $25 million, give or take 25%. As you can see, there are a variety of factors that go into estimating the cost of an MF/UF membrane system for your facility. SAMCO has over 40 years’ experience custom-designing and manufacturing these types of systems, so please feel free to reach out to us with your questions. For more information or to get in touch, contact us here to set up a consultation with an engineer or request a quote. We can walk you through the steps for developing the proper solution and realistic cost for your MF/UF membrane system needs.